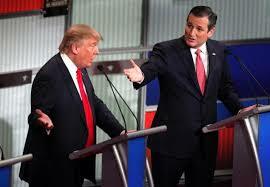 I don’t need to convince anyone that the GOP presidential race has been a strange one. Not only are we contemplating the possibility that Donald Trump may be the Republican nominee, but Ted Cruz is in second place. You know, Senator Ted Cruz, the man we have all been told is the most hated elected Republican among Republican leadership in America. 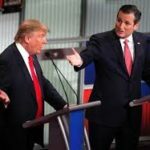 On the one hand, Cruz must look at Trump every day and say, “I can’t believe I’m losing to this guy.” On the other hand, if Cruz were the front runner, we might well be hearing about how the Republican establishment is working earnestly to put together a “Stop Ted” movement to keep him from getting enough delegates prior to the convention or to engineer a contested convention that would deprive him of the nomination in Cleveland. Perhaps secretly Cruz is thanking Trump for taking all the fire and putting Cruz in a position to do his best at a contested convention. To his credit, Cruz and his team have been working party level caucuses and conventions to ensure as many pro-Cruz delegates are sent to Cleveland as possible. It’s just that as we focus so much of our energy on how much Trump is reviled by GOP leaders, we may be forgetting how unpopular Ted Cruz really is within his own party, and that conventions are where these sorts can really show their muscle. Part of Reston’s job at The New Republic is to go through political ads and tell us what is going on. In a recent article she posts a new Cruz ad running in Wisconsin and gives him high marks for his acting skills. Ted Cruz is sitting at your kitchen table. There are pink books stacked neatly on the shelf behind him. Delicate lace curtains hang from the windows. “Wisconsin is a beautiful place,” the Texas senator says, in a voice huskier than his trademark nasal whine. “Our campaign is for the working moms, the truck drivers, the mechanics and machinists with callouses on their hands.” The music swells. This fellow is going to repeal Obamacare! Peel back the EPA and all those burdensome regulations holding back the working moms and calloused mechanics! The camera cuts out. Cruz saunters through a smoky field at twilight, a rifle thrown over his shoulder. . . The Ted Cruz that comes across during commercial breaks is earnest, inspirational, even amusing at times. From the start of the campaign, his ads have been designed to create this alt-version of Cruz—and now, on the eve of the crucial Wisconsin primary next Tuesday, it looks like these ads might have have succeeded in making him “likable enough,” at least by contrast with Donald Trump. Perhaps likeable enough with the voters to compete with Donald Trump, but at a contested convention what are the odds that both get thrown under the bus by party delegates who have good reason to despise both? Pretty good, I’d say.